Last week we met as a new CORE team and had the opportunity to spend a day with the Manaiakalani Trust Providers to meet who's who in the Manaiakalani Outreach team and to gain an overview of the Outreach programme and its intent. WOW, the integrity, the pedagogy, the passion, the dedication, the belief and the commitment of the people in the room was outstanding! I felt truly privileged to be a part of this team and look forward to the year ahead. It's going to be an incredible ride! Over the last couple of days I have been privileged to spend time in Manaiakalani Schools immersing myself in the Learn, Create, Share pedagogy. I spent time at Tamaki Primary and Pt England School. Thanks to @dorothyjburt for setting up these visits and to the Principals and teachers who welcomed me so early on in the term! Other students who I spent time with included Ana and Stevenson, both highly articulate learners who have totally embraced 'share' as part of their learning pedagogy. 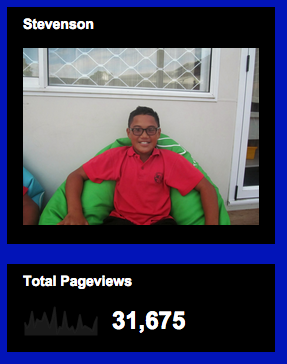 Again check out how many page views they have had and their lifelong blogging journey. Students in Andrea Tele'a year 7/8 class at Pt England School were focusing on writing their blog profiles (Blog profile), the process of writing quality comments on other students blogs, creating google forms as part of a math inquiry of getting to know each other as a class as well as creating their digital mihi. All of this was happening in a highly organised way through the use of google sites, docs and presentations. Learners were working at their own pace either individually or in small groups and tracking their progress. Those who were more able were supporting their peers and running individualised workshops as and when needed. 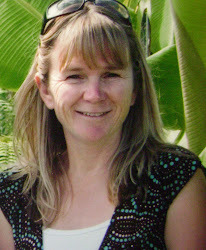 Andrea's planning is highly visible to the teachers she works with, her students, whānau and globally! Fantastic professional learning can be gained simply by exploring Andrea's Google Site and the Year 7/8 Team at Pt England School Google Site. Aireen and Petra's 2015 Google Site is a work in progress but again, amazing professional learning opportunities available through Aireen's 2014 Google Site. 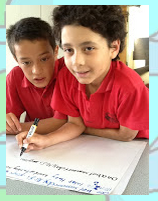 Tamaki Primary - Room 7 2014 I was inspired to read Aireen's Reflective Blog. Aireen and Petra are eagerly awaiting their new modern learning environment and are currently based in the school hall with their learners. During my visit today they were focused on using Google Docs to write their applications to be a School Councillor. There was a high focus on the 'how to' of writing and role modelling effective writing strategies for applications. 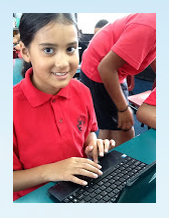 Aireen kindly shared with me the Start of year netbook programme Google Doc created by the Manaiakalani team. A highlight of spending time at Pt England School for me is being able to catch up with Helen King. Helen and I were at the Google Teacher Academy in Sydney together in 2011. Helen continually inspires me with her teaching practice and there are not many presentations I give that don't include some of Helen's learners work. This year Helen is teaching a Year 3 class with 1-1 iPads and from what I saw (it was only day 2!) it's going to be an amazing year of learning for both Helen and the children. Again, in the short time I was there, highly focused learners and engaged learners. Helen's Year 3 Pt England School Class Site will be another one I will share with Educators to both challenge and inspire! The research behind the Manaiakalani Cluster is outstanding and well worth exploring further. You can find this and links to all of their Schools through their website. I also stumbled across the Manaiakalani Outreach Videos which are well worth watching. HUGE THANKS to the teachers and learners who hosted me today and totally inspired me. So much to explore, so much to learn, so much to gain! 2015 - bring it on! Hi Tania, we are thrilled to be working with you this year and look forward to learning from you as we work on this Outreach programme together. Thanks so much for embracing Learn Create Share so fully (I know you already did this anyway) and passing on your reflections from your first two days with our teachers.